It’s hard to think of eating something cold in February when one lives in Minnesota — we’re colder than Alaska this year for some reason. 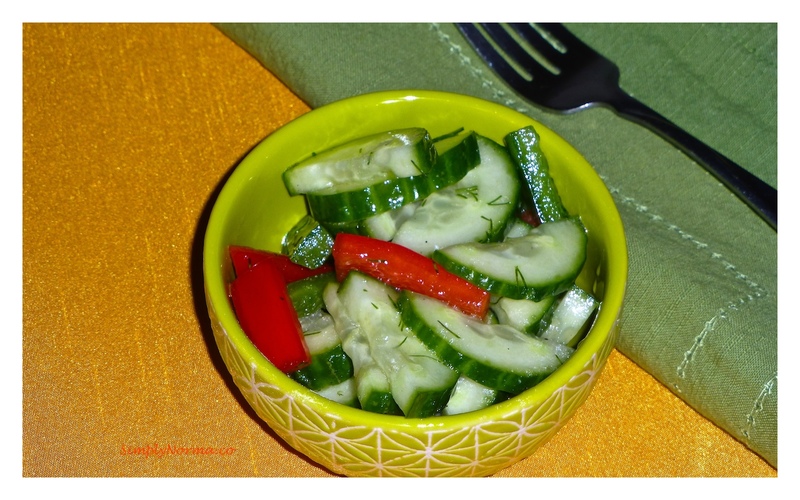 But, I wanted something refreshing to eat and thought this Cucumber Salad would fit the bill. Twas easy to make and much easier to eat. The ingredients are few … (not pictured: oil, red wine vinegar, salt and pepper). I changed the recipe a tad by substituting the white wine with red wine vinegar, the parsley & chives with dill and the sugar with coconut sugar (it’s not as sweet). It came out quite good and since the recipe is so simple, I’m sure I’ll make it again. Side note: if you want your dressing a little sweeter, I’d substitute the coconut sugar with a teaspoon of maple syrup. 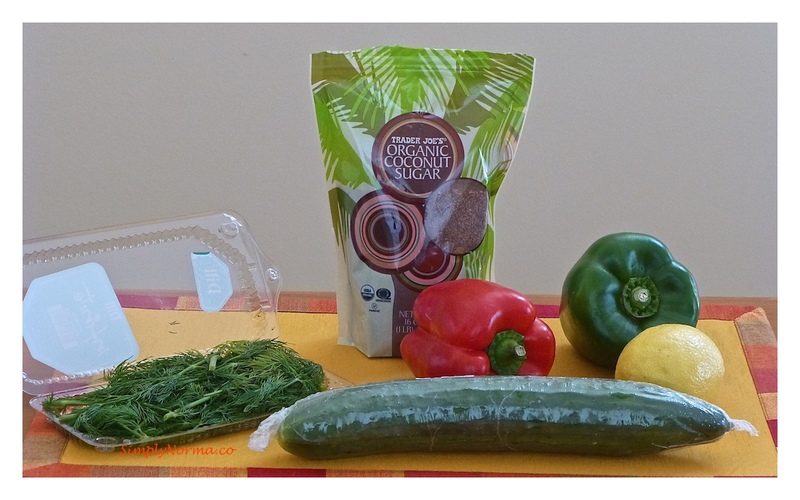 Combine the first 6 ingredients in a medium bowl and stir it all with a whisk. Add the peppers along with the remaining ingredients to the liquid mixture then toss gently to coat.